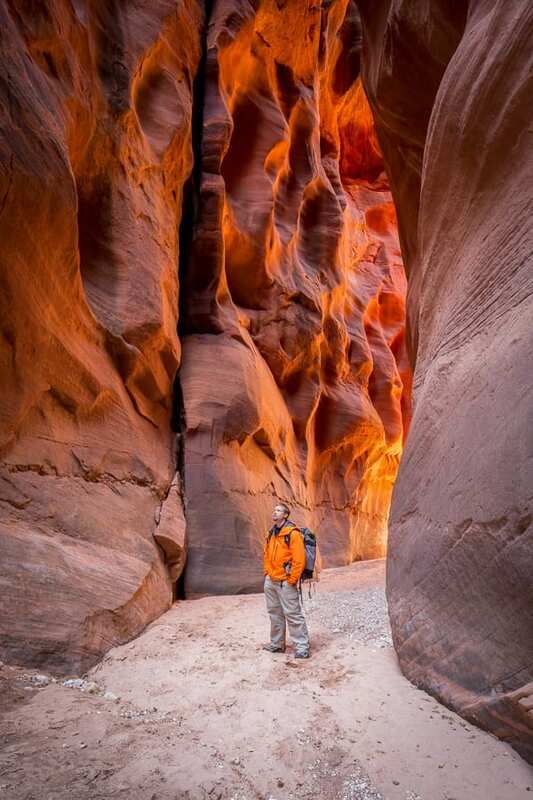 Our full-day Slot Canyon Photography Tour is designed for those craving adventure. We'll customize the outing to the level of physical exertion you desire! 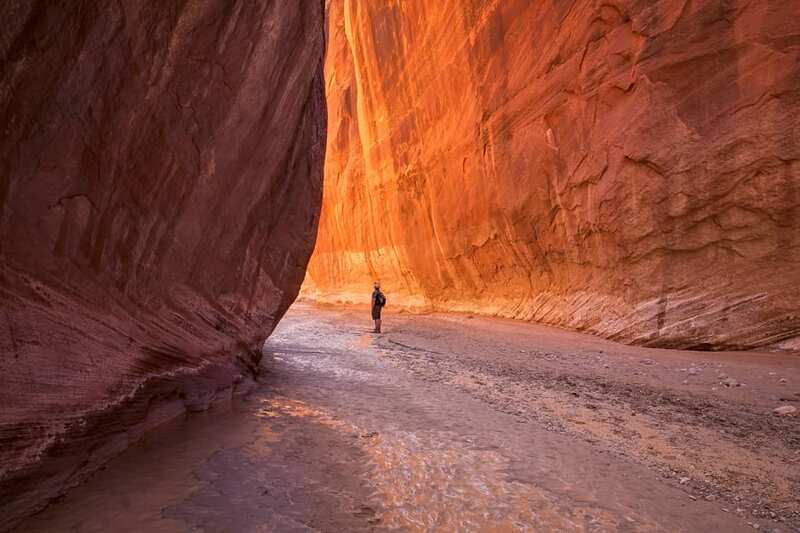 Trek through narrow and winding slot canyons while photographing some of the most jaw-dropping scenery you've ever seen. We'll get you to the best parts at the best times of the day! Less strenuous options are available. Just let us know your desired level of physical activity. Professional photography instruction included on all outings. 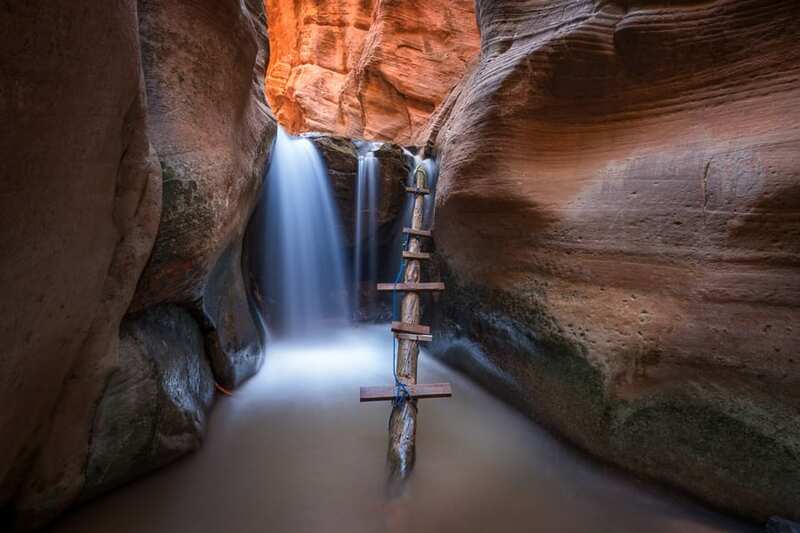 Take your slot canyon shots to the next level! Drive Time: It depends on where we go. 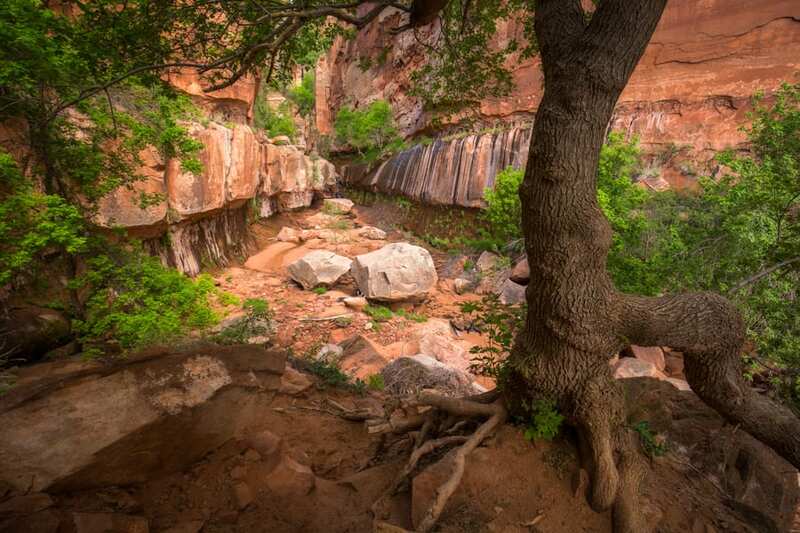 The closest canyons are around 30 mins drive from Kanab. Others are about an hour away. Tour Departure Time: This trip is slated to leave Kanab at 8AM and returning around 4PM. However, this start time can be flexible depending on your travel needs. Please arrive around 10 mins early to load your gear and finish the check-in process. Note that we operate on Utah time which is one hour ahead of Las Vegas. During the months of Daylight Savings (approx mid-March through early Nov), Utah is also one hour ahead of Arizona. Please take this into consideration if traveling from out of state. Tour Pricing: Please click on the Book Your Tour button for the latest pricing. Most of our tours require a 2-person minimum. Single individuals can always go, but may need to pay the 2-person rate if nobody else decides to join. Tour Meetup Location: Please come to our place of business at 451 W. Johnson Dr in Kanab, UT https://goo.gl/UpMVvu. This is a safe place to park your vehicle. If you like, you can leave any valuables inside the house. Once you arrive, we’ll ask you to load your gear and sign a liability release waiver. If you haven’t yet paid in full, we’ll take the remaining payment via cash or credit card. Contact us if you are unable to get to the meet-up spot and we’ll make alternate arrangements. Las Vegas is the closest major airport to Kanab. There is no public transportation to Kanab, so you’ll need your own rental car or private vehicle. Permits: We hold commercial use permits for the locations we visit. Hiking / Fitness: When you book the tour, please let us know what level of hiking difficulty you want and we'll make sure we go to the best canyons for you. 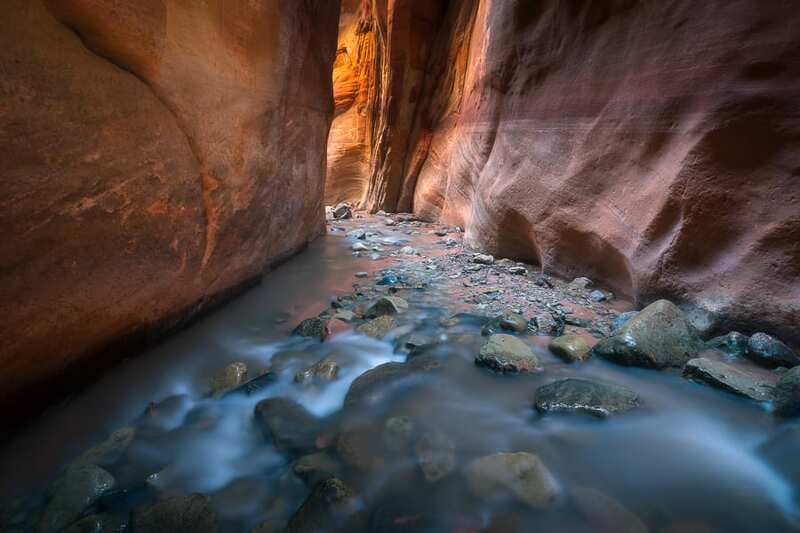 Half-Day Option: If you want a less strenuous day, consider our Half-Day Slot Canyon Photography Tour. Camera Gear: A wide angle zoom lens is the most useful on this trip (equivalent 16-35 on a full-frame camera or 10-22mm on a crop sensor). A mid-range lens can also come in handy (24-70 on full frame or 18-55 on crop sensor). Bring a polarizer to cut glare from the water. ND filters are nice for long exposures of water. All photographers should bring a tripod. Don’t forget extra batteries, memory cards, and cleaning supplies.